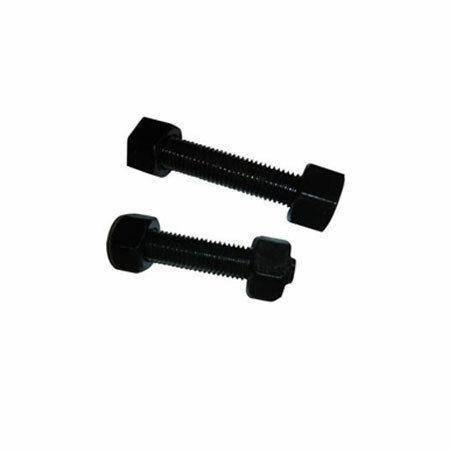 ﻿ Stud Bolts, SS Threaded Studs Exporter. Double Ended Stud Manufacturer, Steel Stud Bolts Exporter, Duplex Steel Bolts, Titanium Stud, Stud Bolts Supplier In India. We are the forbearers of a wide range of innovative products as we relentlessly strive to address new challenges and meet customer requirements. We assist our customers in choosing the right product for their requirements. We, Amco Metals, are an ISO 9001: 2015 certified company, hence constantly study the market and delivering products that offer amazing usability. 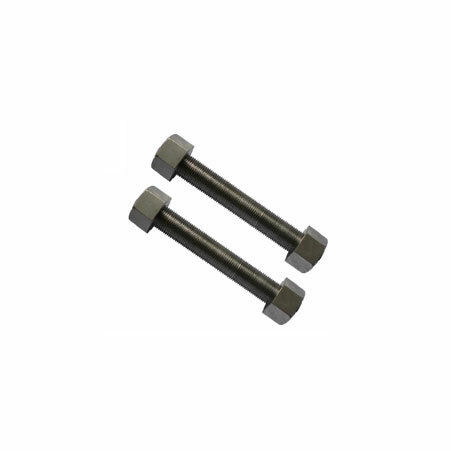 We are a manufacturer, trader, stockist, supplier and exporter of Stud Bolts which are fully threaded bolts with two nuts at both the ends, it is a fastener used to hold a solid structure, primarily a concrete pad or wood, by anchoring the stud bolt permanently into it. Our Titanium Stud Bolts are heat treated to increase its structural strength. 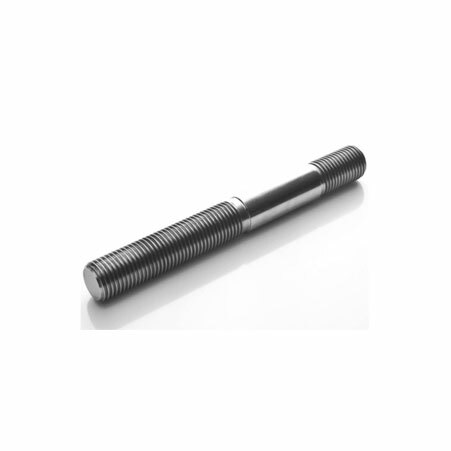 We supply Nickel Stud Bolts to the heavy duty engine making and automobile industry. ASTM A325 Stud Bolts Manufacturer, Stud Bolts Exporter, Carbon Steel Threaded Studs, SS Double Ended Stud Stockist Supplier In Worldwide. Stainless Steel Stud Bolts : AISI 302, 304, 304L,316, 316L, 310, 317, 317L, 321, 347, 410, 420,904L etc. Azerbaijan, Lithuania, Spain, Egypt, Italy, United Kingdom, Turkey, Zimbabwe, Slovakia, Ukraine, Bahrain, Germany, Bolivia, Croatia, Colombia, Iraq, Belarus, Singapore, Morocco, Mexico, South Korea, Costa Rica, Vietnam, Tibet, Sweden, Switzerland, United States, Yemen, Saudi Arabia, Lebanon, Angola, Nigeria, Poland, Austria, Bangladesh, Nepal, Trinidad & Tobago,Tunisia, Libya, Macau, Gambia, Jordan, Norway, Nigeria, Estonia, Chile, Qatar, France, Israel, Poland, Bulgaria, United Arab Emirates, Ecuador, Serbia, New Zealand, Kazakhstan, Ghana, Japan, Oman, Belgium, Pakistan, Thailand, Mexico, Greece, Taiwan, Indonesia, Hong Kong, Chile, Russia, Canada, India, Afghanistan, Denmark, Peru, Gabon, China, Iran, Romania, Puerto Rico, Netherlands, Venezuela, Czech Republic, Kenya, Finland, Australia, Portugal, Ireland, Hungary, Sri Lanka, Kuwait, Malaysia, Mongolia, Philippines, Algeria, Iran, South Africa, Argentina, Brazil, Bhutan, Namibia. Hanoi, New Delhi, Madrid, Ahvaz, Bogota, Bhopal, Manama, Granada, Ankara, Al Khobar, Petaling Jaya, Port-of-Spain, Baroda, Milan, Perth, Santiago, Seoul, Haryana, Coimbatore, Moscow, Gimhae-si, Courbevoie, Sydney, Melbourne, Rajkot, Colombo, Geoje-si, Cairo, Indore, Ahmedabad, Bengaluru, Faridabad, Chandigarh, Dubai, Busan, Jeddah, Nagpur, Dallas, Sharjah, Los Angeles, Ernakulam, Karachi, Navi Mumbai, Pune, Thiruvananthapuram, Jamshedpur, Tehran, Rio de Janeiro, La Victoria, Singapore, Vung Tau, Istanbul, Gurgaon, Kuwait City, Ho Chi Minh City, Riyadh, Howrah, Edmonton, Toronto, Chennai, Lagos, Atyrau, Caracas, Abu Dhabi, Kolkata, Doha, Calgary, Brisbane, Secunderabad, Noida, Thane, Chiyoda, Bangkok, Kanpur, Muscat, Kuala Lumpur, London, Mumbai, Mexico City, Nashik, Ranchi, Al Jubail, Aberdeen, Pimpri-Chinchwad, Visakhapatnam, Ludhiana, Vadodara, Dammam, Jakarta, Montreal, Surat, Lahore, Ulsan, Hong Kong, Algiers, Jaipur, Hyderabad, New York, Houston.